I am a bit of a nerd and I hold to that moniker with pride. 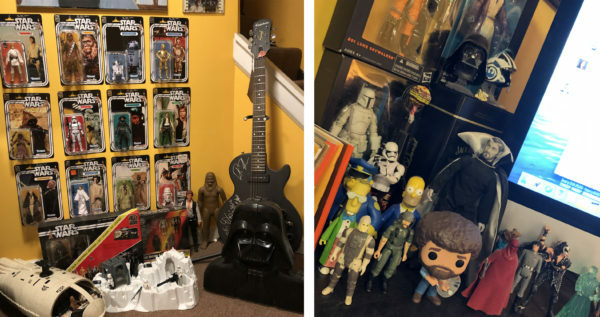 From comic books and artwork to action figures and movie memorabilia, my office (and any corner of the house my better half allows me to have) is packed with pieces of pop culture. As I sit in my office looking at the flair that adorns my walls and shelves, I think of the unique stories behind each piece. The stories are not just the personal memories, but the stories of what each manufacturer did to entice me to become one of its brand evangelists. Netflix recently released a documentary series, The Toys That Made Us, an in-depth look behind some of the most popular toy lines from the ’70s and ’80s – Star Wars, Barbie, GI Joe, and He-Man and Masters of the Universe. What makes this series compelling is the interviews with the toy developers, engineers, marketers, and executives of each brand. For a toy or pop culture enthusiast, this peek behind the curtain reveals how these iconic brands not only developed the toys but how they marketed to children. A few of the brands really put the “battle grip” on content marketing with incredible results. 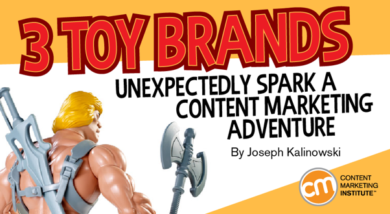 What makes this more interesting is how three brands – Kenner (Star Wars), Hasbro (GI Joe), and Mattel (Masters of the Universe) – used similar content marketing strategies, almost feeding and building off each other’s efforts. I now realize that my experiences with these toy lines were my first experiences with content as a retail marketing strategy. 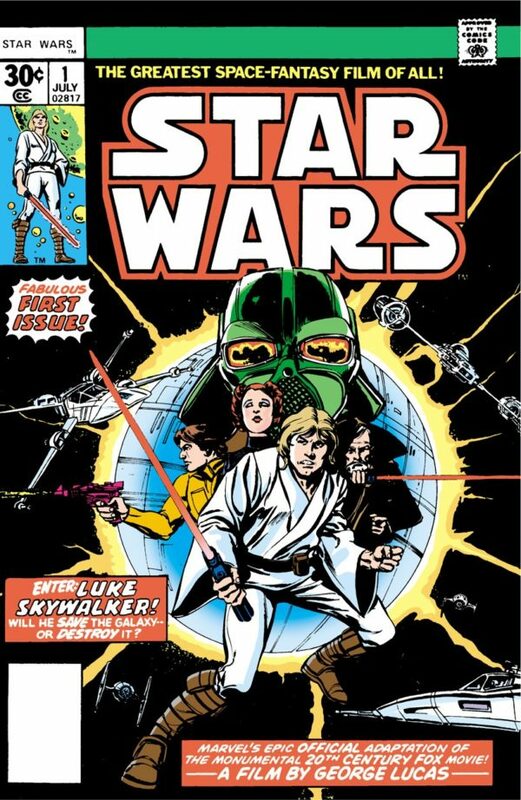 During the film’s production in 1976, director George Lucas signed a deal with Stan Lee and Marvel comics to release the official Star Wars comic book. The release of the first two issues of the comic book happened before the movie’s release to drum up publicity for the film. Not only did it succeed in what George and Stan intended, the release of the Star Wars series of comics may have single-handedly saved Marvel comics, which was in a financial slump due to poor sales. As Buddy explains, the comics were an integral piece of the Star Wars brand marketing strategy, as many of the toys (produced by Kenner from 1977 through 1985) were promoted through the comics. After the mega-success of the toy line, original content was produced for novels, newspaper comics, and radio dramas. The success of Star Wars’ content strategy set the stage for the competition, too. As Kenner found success with the Star Wars line, rival Mattel, which had the Barbie line, was looking to break into the action-figure market for boys and came up with a new line of figures, He-Man and Masters of the Universe. Content became an integral afterthought to the toy line’s creation. At a pitch presentation, one of the retailers said Star Wars toys were popular because of the movie and asked how kids were supposed to know He-Man. On the fly, Mattel’s Mark Ellis said a comic book would be in the package of each figure. By enclosing a piece of original content, Mattel would help kids learn the backstory of He-Man, his friends, and his foes. 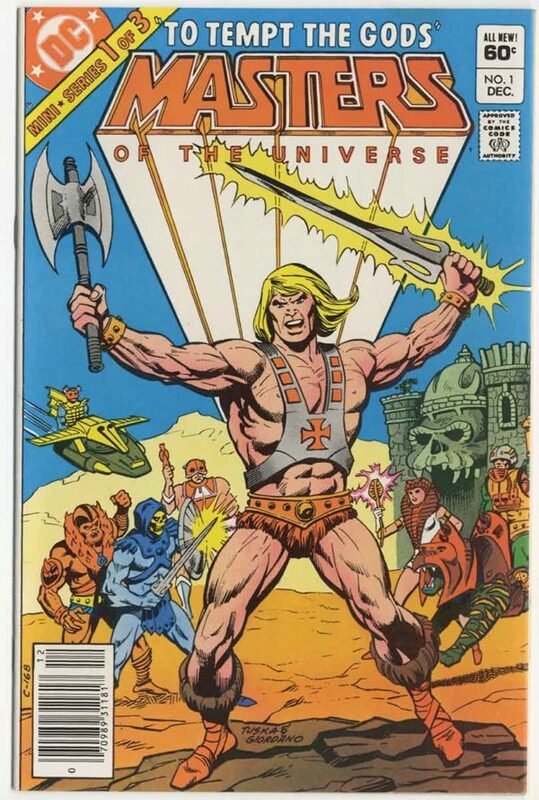 In addition, Mark and the Mattel team partnered with DC comics (much like George Lucas partnered with Marvel) to launch a He-Man and Masters of the Universe series of comics to promote the toy line. Mattel marketing executives went in front of a group of buyers once again with the new toys and the comic book. One major buyer questioned how kids around the age of 5 (a target audience for He-Man toys) would be able to read the comics. Another lightbulb went off for Mark, who announced that Mattel was planning a television show. His original idea called for two one-hour specials to tell the story of He-Man and the cast of characters. The executive team at Filmation, the company behind Fat Albert and The New Adventures of Batman, convinced Mattel to pursue multiple half-hour episodes instead. The cartoon series became an instant hit. It ran from September 1983 to 1985 and contained 130 episodes. It was the main marketing vehicle for the Masters of the Universe toy line as it was used to introduce new characters, vehicles, and playsets. Hasbro created a line of large-scale GI Joe dolls in the ’60s and early ’70s for boys to create adventures. The era of the larger action figures faded with the introduction of the 3 3/4-inch action figures for Star Wars (a line Hasbro had passed on when approached by George Lucas), but GI Joe was resurrected to compete with the Star Wars line. This time, GI Joe was reimagined as a member of an elite anti-terrorism task force standing up to the world’s most dangerous terror organization, Cobra. 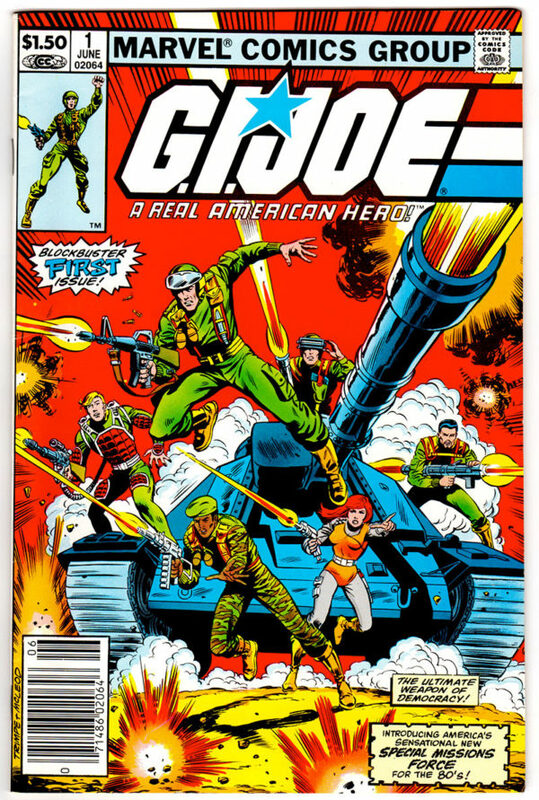 While the toy line was in production, Hasbro partnered with Marvel comics and writer Larry Hama to create a series based on the new GI Joe figures and playsets. A series of animated commercials promoted the launch of the comic. The ads, comic, and ultimately the toy line were all successful. That prompted Hasbro to release two five-part animated mini-series cartoons in 1983 and 1984, and a syndicated series in 1985 and 1986. Each episode featured characters and toys that could be purchased on the shelves and, just as with the Masters of the Universe line, the series was used as a launch pad for new products. I never realized how much content marketing I was exposed to as a child. After watching interviews with the toy developers of Star Wars, He-Man, and GI Joe, I am sure they were unaware they were developing what would come to be known as a content strategy for the industry. Nowadays, as content marketing is a huge part of my life, I see successful examples throughout all the programming and feeds that my children watch or subscribe to. It’s a strategy that works extremely well with toy lines, and brand managers know it. Who would have thought that I would dedicate my career to the same tactic that made me spend all of my allowance on toys and comics? I am so glad I did. Author’s note: After completing this article, I learned of the passing of the great Stan Lee. Stan will always remain an incredible influence not just in the comic book industry but in the creative world as a whole. The world he created through his storytelling inspired so many to pursue their dreams. I, like millions of others around the world, will be eternally grateful for his inspiration. Rest in peace, Stan. Excelsior! Want to be the He-Man or She-Ra of your content marketing program? Enroll now for the winter semester of Content Marketing University. JK is the Creative Director for Content Marketing Institute. He has worked as an art director for 16 years in both the advertising and publishing industries. His role at CMI is to assist with the ideation and creation of projects and to work with the CMI staff to ensure they achieve our goals. Follow JK on Twitter @jkkalinowski.